Google's been pretty quiet lately, hasn't it? The stakes have been raised: if Microsoft expects any more coverage of its Surface tablets it'll have to fire Steve Ballmer from a cannon, and we're not even going to turn up to product launches unless firms promise that at least one executive will be on fire. It's all Google's fault: during the Google I/O Keynote, Sergey Brin used Google Glass-wearing skydivers to showcase the firm's wearable tech. It was all very thrilling, even though the content amounted to little more than "Dude! I've got a camera ON MY FACE! ", and it's clear that Google doesn't really know what to do with its space-age super-specs just yet. That's where developers come in: US conference attendees will be able to get Google Glass development kits for the princely sum of $1,500. That sounds like a lot, but it wasn't that long ago that the first DVD recorders cost double that. When - if? - Google Glass becomes a mainstream product, the price will be much, much lower. Did someone say "price"? The newly announced not-very-secret Google tablet, the Nexus 7, is both cheap and very cheerful: at just £159 for the 8GB model and £199 for the 16GB, the seven-inch tablet is likely to sell squillions. Designed to showcase Android 4.1, AKA Jelly Bean while simultaneously annoying Amazon, the Nexus benefits from Google's "Project Butter", which aims to make Android's UI faster and more fluid. The Nexus 7 isn't the only tablet in the world, of course. So how does it compare to its key rivals? We pitted the Nexus 7 against its main rivals, Amazon's Kindle Fire and the new iPad / iPad 3. The news isn't good for Amazon, which doesn't currently sell its Kindle Fire outside America: we reckon that "If Amazon doesn't hurry up and offer the Kindle Fire internationally, the Nexus is going to steal all its potential customers." The tablet is so clearly aimed at Amazon that "we started wondering why Google didn't just call it the Gindle", and "if it's as good as it looks, it's going to sell by the truckload." Android isn't just for tablets, of course, and Jelly Bean will be coming to smartphones too. Is it worth getting excited about? Thomas Thorn pitted it against its key rivals, iOS 6 and Windows Phone 8. Project Butter is a welcome development - "4.1 is now a much smoother experience, providing 60fps across the whole device", and there's a new focus on Google Play, which is "at the heart of the whole OS, bringing music, movies and ebooks right to the forefront." The verdict? 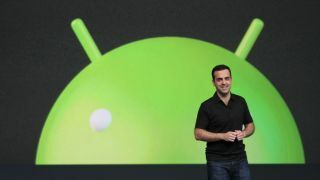 While Jelly Bean "is not the revolution we expected", Android 4.1 "is faster, smoother and much better looking [than before], and it cracks the distinction between phone and tablet devices in a way it hasn't before." Android 4.1 Jelly Bean: who will get it? Google had another surprise for us: the Nexus Q, a spherical device that we're sure has already sparked countless "balls" jokes on the internet. The odd-looking device is either a brilliant new way to enjoy media or a bulbous, overpriced Apple TV rival, but either way it's really rather interesting. Scott Nichols has the details. "The Nexus Q is powered by an OMAP 6640 processor, the same chips as the Galaxy Nexus. It is equipped with optical digital audio and HDMI output to connect to your television and speakers, as well as a built-in 25 watt amp," he writes. "It also features additional connectivity through dual band Wi-Fi, ethernet, Bluetooth, NFC connection, and a micro USB port that Google says will 'encourage general hackability.'" You'll be able to stream your media directly from Google Play, using your smartphone or tablet to control it, and the ability to let other people sync and stream their own media libraries to it should result in a few fist-fights at parties. The Nexus Q is currently US-only and will cost $299. With all this talk of Google, we're sure you're wondering: is there a new Android statue yet? The answer, of course, is yes: to celebrate the launch of Jelly Bean, Google has already put some giant jelly beans outside its HQ. Here's hoping that Jelly Bean updates to existing Android kit happen just as quickly.